WASHINGTON—Several studies show the economic gaps between the urban and rural areas of the United States have grown wider since the recession of 2008. Opportunity zones, however, are expected to help smooth the uneven economic recovery in the country by spurring investment in communities that are left behind. Created by the 2017 Tax Cuts and Jobs Act, opportunity zones incentivize Americans and foreigners to invest in economically under-served communities of the United States. The program, which has started to take shape in recent months, offers tax advantages to private investors who invest in opportunity zones. The objective of the opportunity zones is to ensure that opportunity spreads to every corner of the country. A recent study by Goldman Sachs revealed the growing disparities between large cities and rural areas since the Great Recession. “The financial crisis of 2007–2008 and the recession that followed marked a significant point of inflection,” the Goldman Sachs report stated. In the years following the downturn, large cities have rebounded completely from the recession and prospered. Meanwhile, rural areas have suffered a decline in jobs, businesses, and population. “During the prolonged period of moderate growth beginning in late 2009, these factors have favored large cities while rural areas have not fully participated in the recovery and subsequent economic expansion,” the report said. The cumulative job growth nationwide has been 10 percent since 2009. Large cities have gotten the lion’s share of jobs with almost 14 percent growth. In both rural areas and small cities, however, employment growth has stalled at 2.7 percent. “This is in stark contrast to previous economic cycles in which suburban areas had the fastest job growth, and the difference between job growth rates in rural and urban areas was relatively small,” the report said. The rural areas have also lost population during the same period, found the report, while the population in prime cities has grown almost 8 percent. While income gaps between urban and rural areas have existed for many decades, the report showed that they have widened considerably since the Great Recession. Personal income was nearly 55 percent higher in prime locations than in rural areas. In March, the heads of each U.S. state, territory, and the District of Columbia were asked to identify 25 percent of their low-income census tracts. Based on the nominations received from these jurisdictions, the Treasury Department certified more than 8,700 distressed communities as qualified opportunity zones. The average poverty rate in these zones is 32 percent, compared to the national rate of 17 percent, according to the White House. 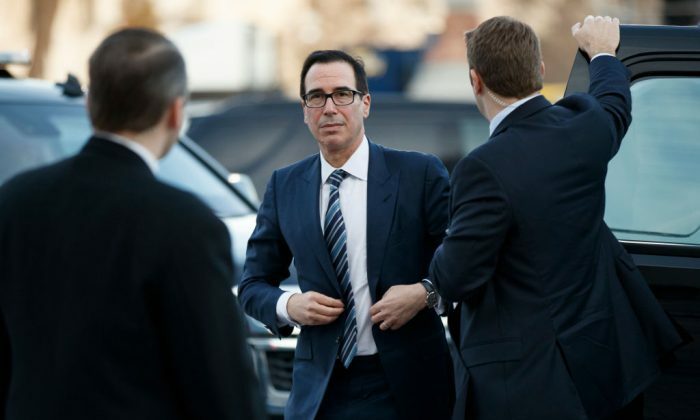 Treasury Secretary Steven Mnuchin projected as much as $100 billion in private capital could be funneled into distressed areas. Many funds have been set up and are raising money to target this new asset class. The program is designed to bring businesses and jobs to these zones, said Phil Marra, audit leader at consulting firm KPMG’s real estate practice. “We see this is a very significant program that is going to make a big difference in many areas,” he said at a panel hosted by Capital Fund Law Group. The opportunity zones come with several tax breaks for private investors. It allows investors to defer taxes on any prior capital gains, if the gains are reinvested in a qualified opportunity zone. In addition, the initial investment value will be discounted by as much as 15 percent for tax purposes after seven years. And any gains are permanently exempted from taxes, if the investment in the opportunity zone is held for at least 10 years. “The one thing that is very interesting with the program is, unlike many government programs, there’re no job requirements from a federal point of view,” Joseph Scalio, tax partner at KPMG, said at the panel. Investors don’t have to meet certain job creation requirements to receive the tax benefits. The expectation is that if capital is deployed, the jobs will naturally follow, Scalio explained. The opportunity-zones project has the potential to become America’s largest economic development program. It will help revitalize areas that are left further behind the national economy. Almost 50 million Americans live in an economically struggling community. A recent study by Economic Innovation Group (EIG) also revealed the stark contrast between distressed and prosperous areas in the country in terms of human capital, job creation, and business establishment. “What was once a country of disparate places that converged towards prosperity is now a country of places drifting further apart,” said the EIG report. All communities faced similar headwinds during the recession, but the recovery has been highly uneven. For example, it took less than five years for prosperous zip codes to replace the jobs lost to the economic crisis, according to the report. Were it not for these areas, the country would still be years away from a job recovery. The gaps were even more dramatic when it comes to business establishment growth rates, according to the report. While prosperous zip codes gained over 180,000 new businesses from 2012 to 2016, the distressed zip codes lost 13,300 companies during the same period.